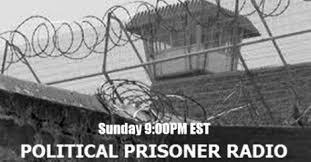 Currently the Maryland State Jericho Amnesty Movement is involved in assisting in our political prisoners and prisoners of war within the gaining of their freedom. On August 23, 2014 we became part of the National Coalition for Truth and Reconciliation Commission (NCTRC), a coalition seeking the establishment a United Nations Truth and Reconciliation Commission process to pressure the United States government into releasing our political prisoners and prisoners of war from incarceration who were targeted by the FBI’s illegal counterintelligence program during the 60’s and 70’s. This illegal program is better known by the acronym as COINTELPRO. We have also assisted in the development of Truth and Reconciliation Conference that is tentatively to take place at Morgan State University under the direction of Dr. Ray Winbush the head of Urban Research on August 14-16, 2015. We have also formed an alliance with the Black August Memorial Commemorations Committee (B.A.M.C.C.) and the Ujima People’s Progress Party (UPP) to address the issues of the of the community such as mass incarceration which affect the Black community in a serious way. With the UPP we are in the process of developing a Maryland State Conference around independent politics and in order to become the first Black led independent political party in Maryland State. The conference is scheduled for May 2, 2015 at Coppin State University in Baltimore, Maryland under the direction of Dr. Ken Morgan the head of Urban Studies.